My work is mainly sculptural using copper inclusions and usually semi abstract, influenced by an interpretation of found objects, relics retrieved from hidden places. 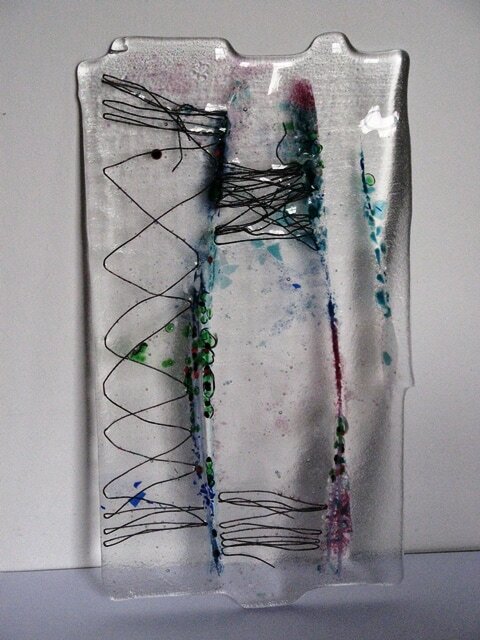 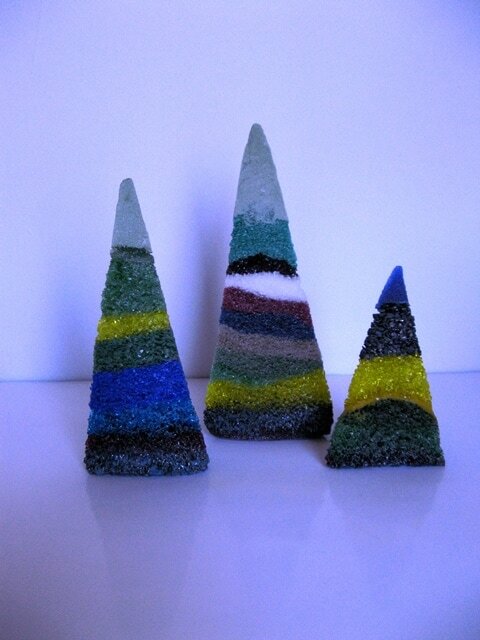 I have recently started using darker coloured Gaffer glass and Pate de Verre frits instead of clear Bullseye. 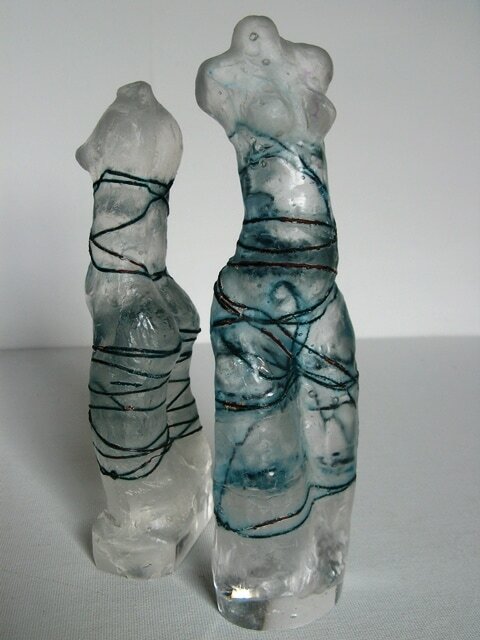 I mainly use the lost wax technique for casting into glass as well as a small amount of fused glass. 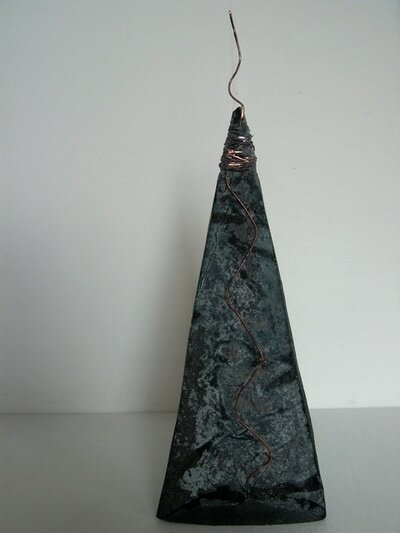 Recently I have been exploring the pyramid form using a sheet of copper on the front surface and sandblasting a velvet surface instead of a high polish. 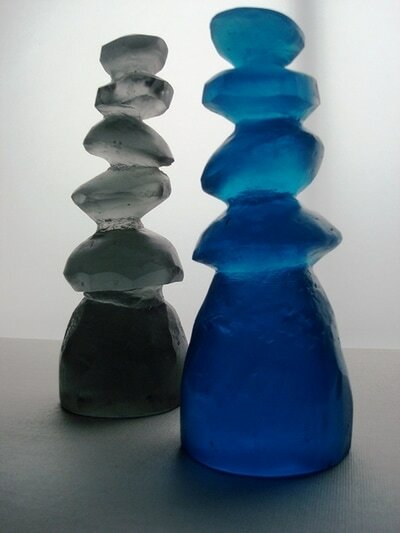 Annie studied Sculpture in the late fifties at Saint Martins School of Art. 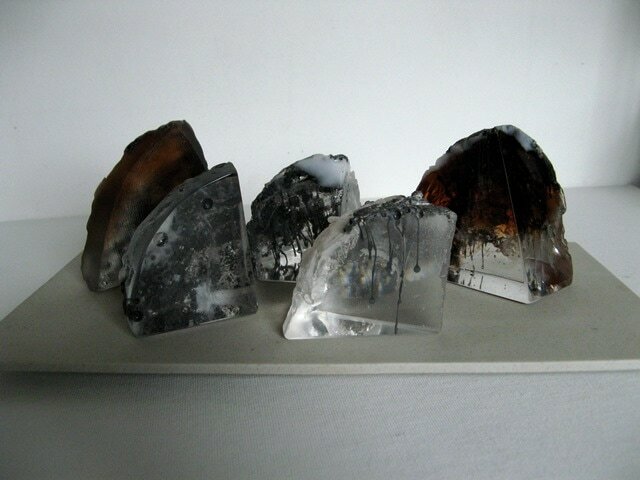 She turned to Architectural Glass in the nineties studying at Richmond Adult Community and Central Saint Martins, following on to Kiln Formed Glass at RACC until the present time.